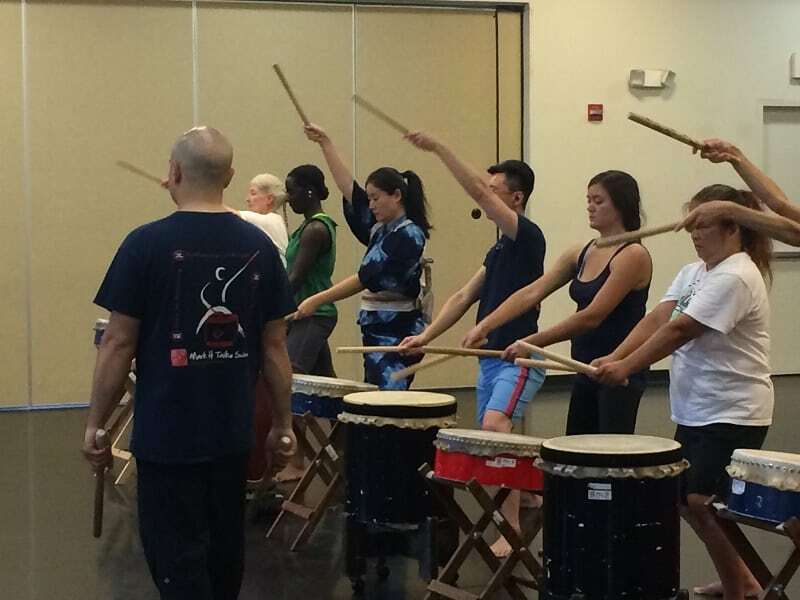 Get your summer taiko on! Summer taiko is the BEST! 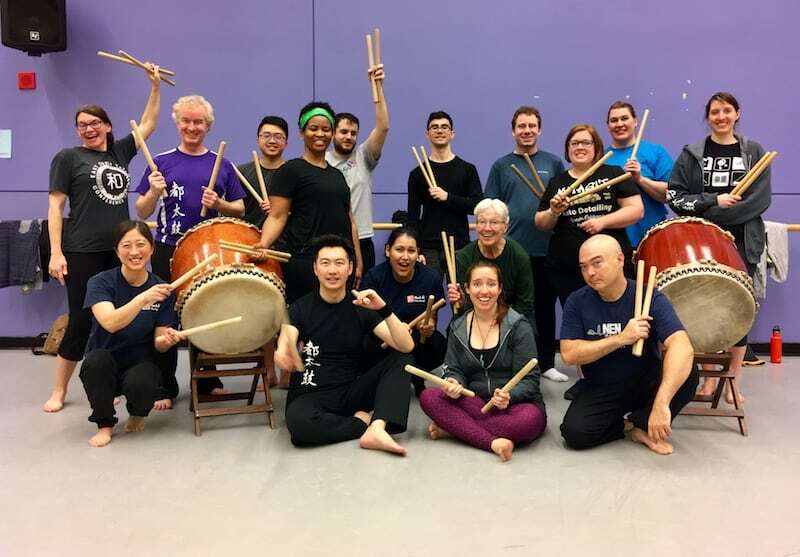 Our latest Recreational Taiko Class is underway and it’s clear we’ve got a FANTASTIC bunch of taiko players on our hands! Look at those smiling faces! You can just tell this class is awesome! 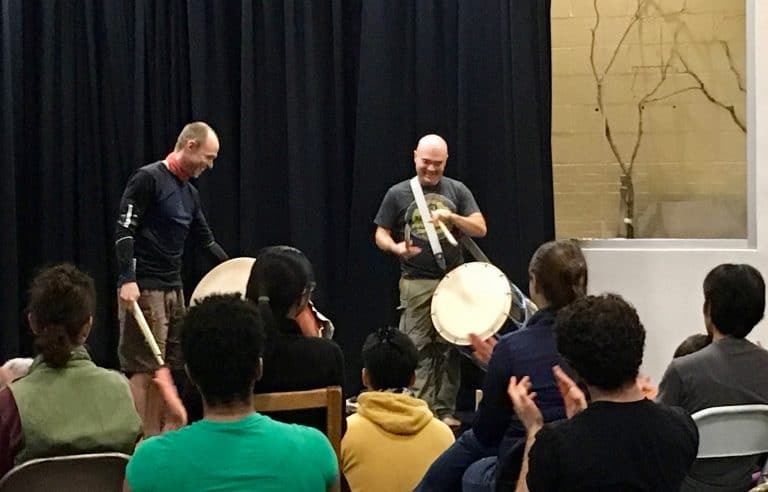 It’s not too late to join in the fun – if you’ve got taiko experience, you can drop in on a class when you’re free (just contact Mark H first). If you are new to taiko, Mark can arrange a private lesson for you. Or, if you just want to see this new class in action, come out to the Reston Multicultural Festival on September 26 and cheer them on as they perform! Happy New Year, everyone! 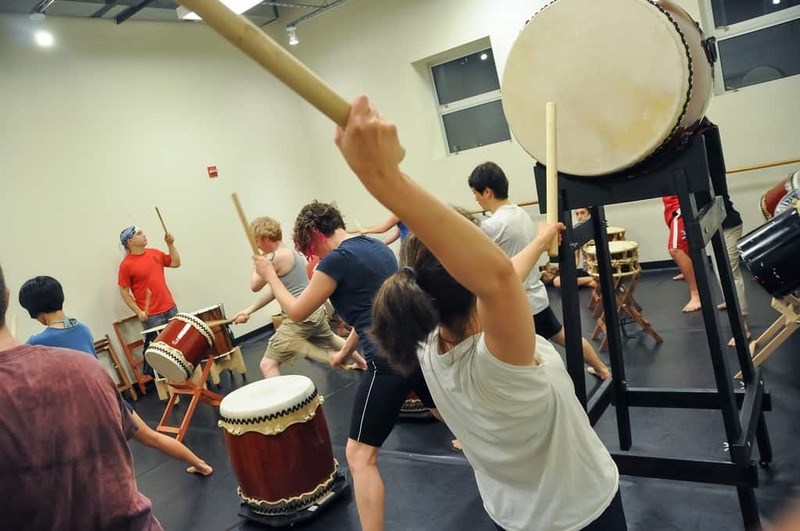 Are you ready to get back into your taiko routine for 2014? 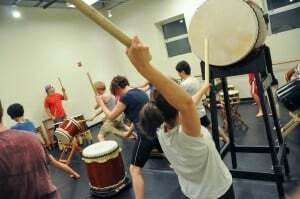 A new class session at the Mark H Rooney Taiko School is beginning soon. 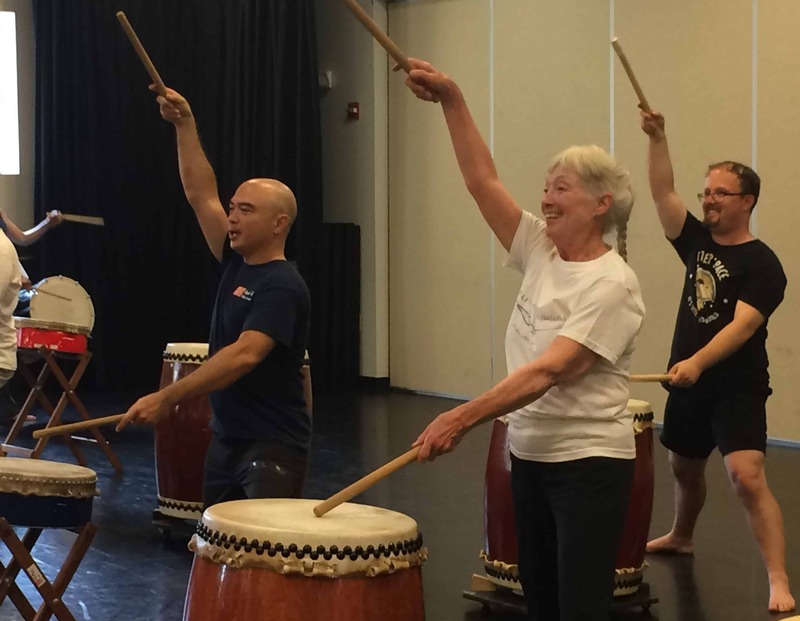 The next Recreational Taiko Class begins on Sunday, January 26, and Mark H’s new Performing Taiko Class begins on Wednesday, January 15. You can find everything you need to sign up on the Current Classes page. 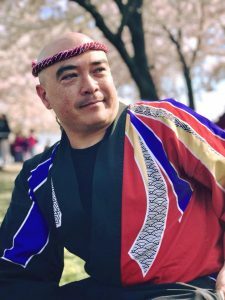 If you are new to taiko but want to get in on this session, there is still time to sign up for Mark H’s next Introductory Taiko Workshop happening THIS SUNDAY, January 12! Click here for more info!